Morning all, I hope you had a nice weekend, whatever non-Arsenal related stuff you got up to. 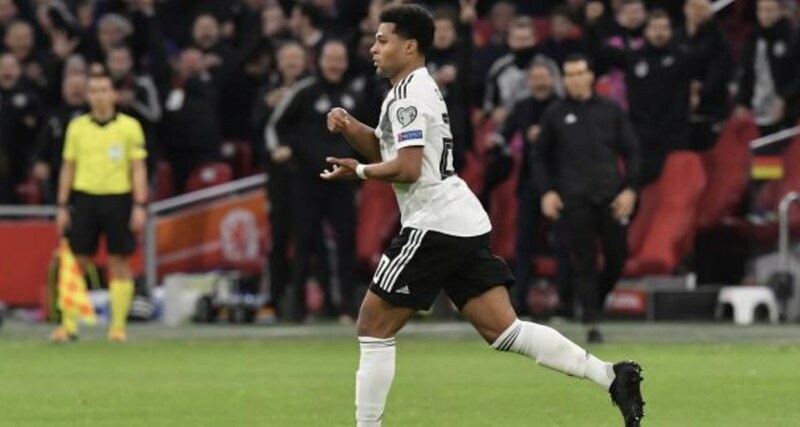 From my Twitter timeline, I see a lot of people watched Germany v Netherlands and saw Serge Gnabry score a superb goal leading to many ‘WHY DID WE LET HIM GO? !’ Tweets. I don’t really have the answer, other than he’d had a pretty terrible time with injury and then when he started playing well again he had offers from elsewhere which he felt were better than his prospects at Arsenal. Yesterday, I talked a bit about loan moves and it’s interesting that two of our brightest young talents have gone to Germany to play for clubs/managers who they can learn a lot from. Emile Smith Rowe is with the vastly experienced Ralf Rangnick at Leipzig, while Reiss Nelson is working with Julian Nagelsmann, a young, tactical coach who seems particularly keen to educate the Arsenal man and keep his feet firmly on the ground while doing so. We sent Serge Gnabry to play for Tony Pulis. Maybe it was to show him there’s another side to football, but you don’t really need hindsight to tell you there were problems in terms of compatibility there. A young, talented winger who was low on confidence and somewhat in the doldrums was loaned to a manager whose primary tactic is to launch the football like it’s some of kind of explosive into the opposition box and if there’s a bit of violence to inflict on them too then all the better. I’m not sure what we thought he was going to learn there, and clearly it didn’t work out. Sometimes it’s obvious that a loan move won’t work, and this was definitely one of those. It’s also worth pointing out that Gnabry himself would have agreed to go there himself, and maybe there were no other options, but it went so badly that it was cut short, he returned to Arsenal. To be fair to Pulis, not something I particularly like to be by the way, he called Gnabry ‘brilliant’, and didn’t question his desire, just his fitness which had been an ongoing issue for longer than his spell West Brom. Anyway, he came back, got fit, went to the Olympics, did well, Wenger said he wanted to extend his contract but by then the shenanigans involving Bayern Munich had been put in place so he joined Werder Bremen and the next summer went to Bundelisga champions in a move which surprised nobody. He’s doing pretty well there and scoring nice goals for Germany and in terms of what he’s worth in the current market we didn’t get anything close to that value when we let him go because of how it all went down. Not to mention you could see how a player with his skillset would fit very nicely in this Arsenal squad right now. Would a better loan move have made a difference? It’s hard to say. If he had injuries at a club more suited to him, chances are he would have struggled there too, but maybe a manager more inclined to play with less industrial footballers would have given him a chance and helped him get fit. Anyway, it’s water under the bridge at this point, but I think it does highlight the need to manage young talent properly and as a club I don’t think this is one we did as well as we could have with. When you consider some of the talent we have coming through our academy at the moment, it’s going to be one of the challenges for Per Mertesacker and his team because these lads are going to need loan moves. Competitions like the Checkatrade trophy are interesting because they give young players the chance to play against experienced, fully-grown men rather than just their peers, and there’s a clear physical difference there. But three or four games isn’t enough to develop properly, and to really learn the game and get educated about how it’s played, you can’t beat regular first team football. Unless the talent is absolutely prodigious, it’s increasingly difficult to make the step up from the U23s to the first team so it’s vital that young players get to play at a level that will challenge them. We’ve seen countless examples of youths who have torn it up in underage leagues who almost stagnate and then can’t do it when the demands are higher. Increasingly, using loan moves as part of player’s education will become more and more important, and as a club Arsenal can definitely improve in that regard. Earlier this year, we made an internal appointment, creating the role of ‘Loan Manager’, so hopefully that will make a difference when it comes to potential destinations for young players, and the feedback players out loan receive which was infamously poor in the past. Speaking of loan players, I just remembered Takuma Asano, so I looked him up to see how he’s getting on at Hannover 96. 14 appearances, 1 goal and 1 assist (both in the cup, none in the Bundlesliga), and I think it’s fairly safe to say that he’s unlikely to make the grade at Arsenal. I think we paid something in the region of £3m for him when we signed him in the summer of 2016, and if we can get anything close to that when we move him on, we’ll probably be doing well. I know every club makes odd signings, but we seem to have had more than our fair share down the years. Right, I’ll leave it there for this morning,but James and I are recording an Arsecast Extra as usual despite the Interlull. As ever, if you have questions or topics for discussion, send to @gunnerblog and @arseblog on Twitter with the hashtag #arsecastextra – or if you’re an Arseblog Member on Patreon, leave your question in the #arsecast-extra-questions channel on our Discord server. That’ll be out before lunchtime, until then.